Dit is Ekai Kaatho, He is already on the Katilu Boys Secundary school. He is from a family of five, livi ng in Kalokol with a single mother who sells vegetables for survival. He is very motivated. James Lokwang, Katilu Boys Secundary School. He comes from Urum on the border to Uganda. They are seven in a family. He is the only one schooling. Both parents died. His uncle raised Ksh 15000 for his fees. Samuel Lomodei, Katuli Boys Secundary school. He comes from Kapedo. They are four in number. Both parents were killed by the raiders. He was left with his grandmother. 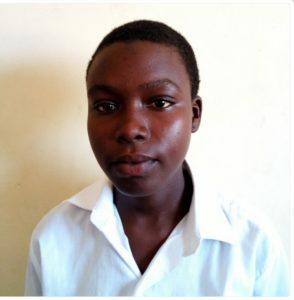 She sold her 2 goats to raise ksh.5,000 for his school fees. He is very vulnerable. Naomy Amaya Wanjala Katilu Girls Secundary School. She is a very motivated girl willing to learn. Her father is a casual worker and her mother is a house wife. They are five in the family .They cannot raise the total school fees for their daughter. Leah Akiru Katilu Girls secundary school. They live in Kainuk where the pokot swept all the animals and now they are charcoal burners. They are six in the family. Charcoal burning has been abolished in Kenya. They do not have any other source of income to pay for their child’s fees and even food. She is one of the Internal Displaced person from Eldoret living in Lodwar. They are seven in the family. Randale Veronica Katilu Girls secundary shool. Both parents are old. She comes from Kainuk.They are eight in the family .The pokot took all their animals last year. She is a very motivated girl ,whose parents cannot pay fees. They are seven in the family. Her mother is a house helper for them to it. But the school decided to keep her because of her motivation. Angelina Erupe Katilu Girls secundary school. Her mother was killed by the pokot in Kapedo.They are four in the a family. 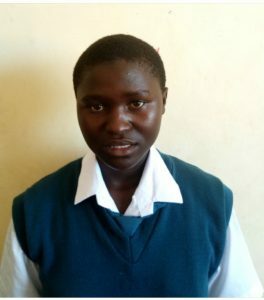 She has a father who helped to raise the Ksh.6,000.